Hello Everyone and welcome back to an all new Review Sunday on the blog! I actually had this review scheduled for last week, and when I realised that I was going to be covering seafood month, I thought I’d push this review to today as it sits with the theme for the month of September on Amcarmen’s Kitchen. Wow, I just realised that that was a really long sentence! I think I was living with Marissa at the time she came across this restaurant while she was browsing through Instagram for a place for us to have our next girls brunch out. 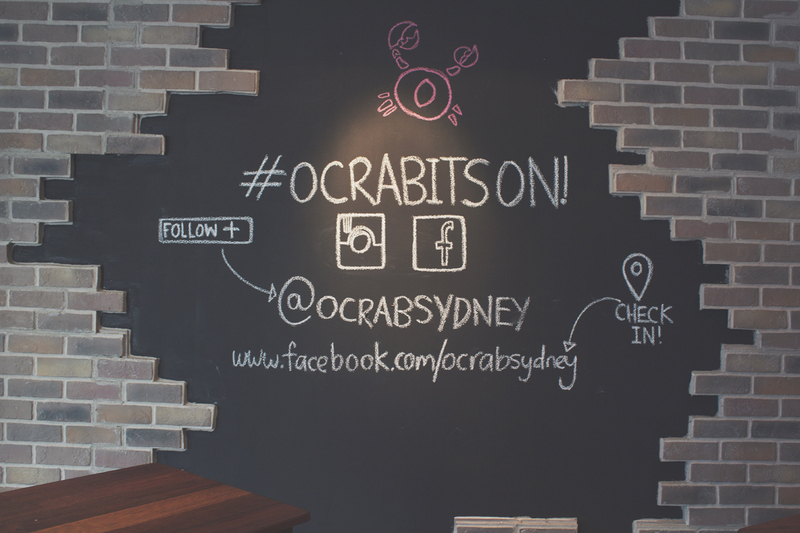 She came across O Crab and asked if I wanted to go; I had a look at the pictures on their Instagram and was already hooked on the idea of crabs in a bag, eating them with disposable aprons, gloves, and a mini Thor hammer. They definitely lived up to their statement of a truly unique dining experience. It’s been a while since I came and visited O crab, I’m guessing it was somewhere in the middle of winter around late June or early July, so bear with me if I can’t remember what the dish tasted like. Trust me though, you’re going to want to pay them a visit when you get a load of the pictures. Also, before I forget to mention, when we were about to leave the place, the waiter asked us if we wanted to sample their Jolly Rancher Cocktails, which at the time, they weren’t serving on their menu just yet, but now I think they are. It was a Sunday after lunch kind of day and already we were doing vodka shots of Jolly Ranchers haha! We told the waiter to not give Marissa any shots since she was underaged (she wasn’t, but we just wanted to play with her a bit). It tasted really good and I’m glad that it’s on their menu now but sad that I won’t get another opportunity to have a proper drink of it! 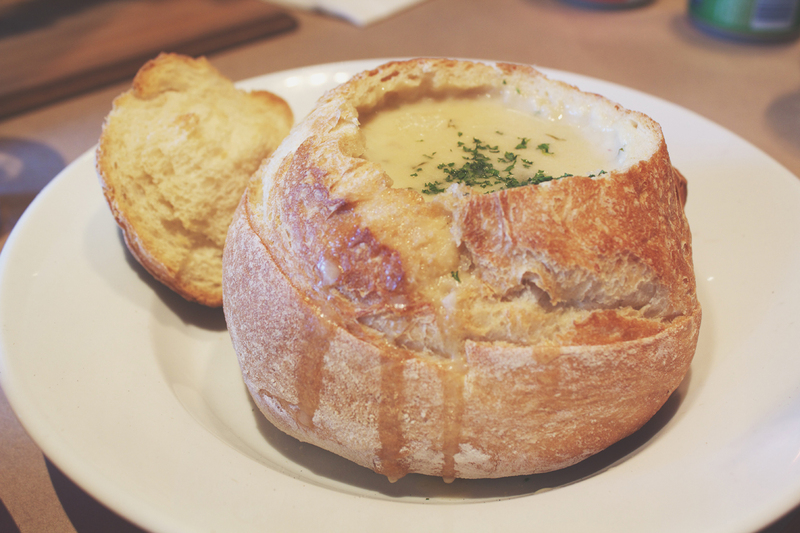 I love a good chowder, and what better way to warm up from such a cold morning it was that day we trekked to O Crab than a seafood chowder in a bread bowl! It was well seasoned, definitely creamy in texture, and nicely finished with a soggy bread bowl to nom on. Since it was a very long time ago since I had this dish, I can’t remember if there were pieces of fish in the soup or they were all just blended together, but I guess it would’ve been nice to have a few pieces of mussels, prawns, and fish in the there instead of just all soup. I remember this dish very well and because the Original Old Bay sauce was to die for! I remember we were dipping everything we could find, the prawns, fries, and even the bread bowl from our chowder into this sauce because it was just that amazing. Besides the sauce, the crab was also cooked well and had a lot of meat in it (I cannot stress the number of times I’ve had crab that was all shell and no meat). The seasoning for this crab cluster wasn’t bad but it was my least favourite from the three sauces/seasonings that we picked. Nonetheless, the crab clusters were well cooked, and again packed a lot of meat into those legs so I couldn’t complain. 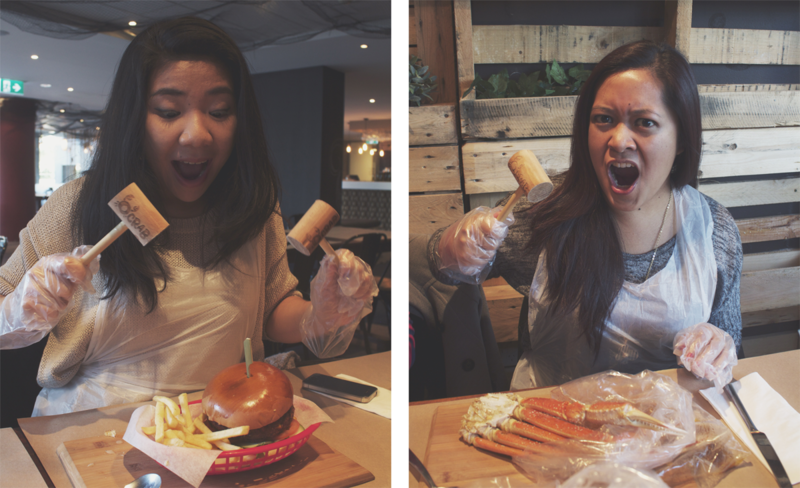 Also, we dipped the crab meat in the Original Old Bay sauce anyway so it was pretty damn good! The prawns were pretty good as well, well cooked that they were melt in the mouth kind of good, and the sauce was garlicky, buttery (as you’d imagine garlic butter sauce to be anyway), and simply delicious. There’s really nothing more that I can say about these prawns really; I have no issues with it. I only had a small bite of the burger only because this was actually Jialing’s dish. She wasn’t too fond of crabs even though she tried very hard to want to like it. So instead, she ordered a burger for herself. I can’t remember what the burger tasted like but I do hope for your sake that the patty is cooked through but still juicy on the inside. That would be perfect. Oh, you can also substitute original fries for sweet potato fries for an extra $2.50 – I don’t know why we didn’t get the sweet potato fries! I really enjoyed our dining experience at O Crab; I wish I had gone back a second time for some Jolly Rancher Cocktails and more crabs of course! Also, I could not have chosen better people to dine with that day. 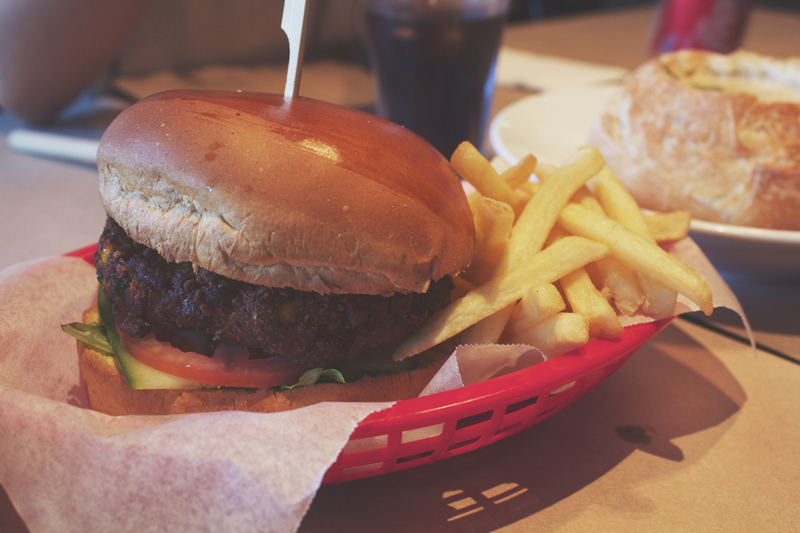 The food was superb and I really could not fault the dishes that we had; so I’d say the food for me is a sure 9/10. When we got there, the restaurant was in fact empty, which I thought was kind of weird for a weekend and during lunch, but anyway, it meant for a quicker service for us. I guess it was good also in a way that we were then able to sample their Jolly Rancher Cocktail since we were the only ones there. Though it was quiet because we were the only ones there (what am I saying, we were a very noisy table on our own! 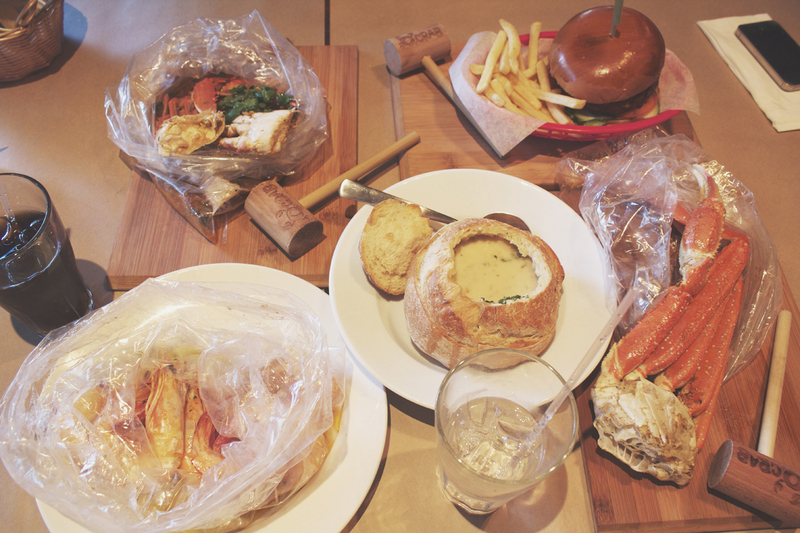 ), the ambience was quite nice and in theme with the whole crab shack/seafood diner vibe of wooden crates and ropes that decorated the restaurant; 8/10. If you’ve got the money to spend on high quality mud crabs then go for it! Mud crabs are based on market price and when we saw their Instagram post from a few weeks ago, a 1.4kg (or something of that weight) mud crabs was going to cost you a whopping $95!!! 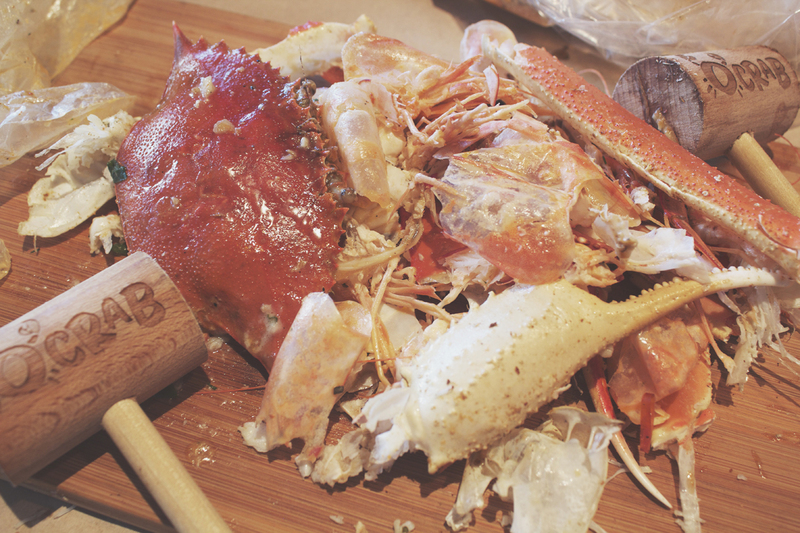 Other than that, the blue swimmer crab and snow crab cluster are quite affordable; 7/10. I do highly recommend this place if you want some good quality seafood at an American themed crab shack and a beer to go with that.